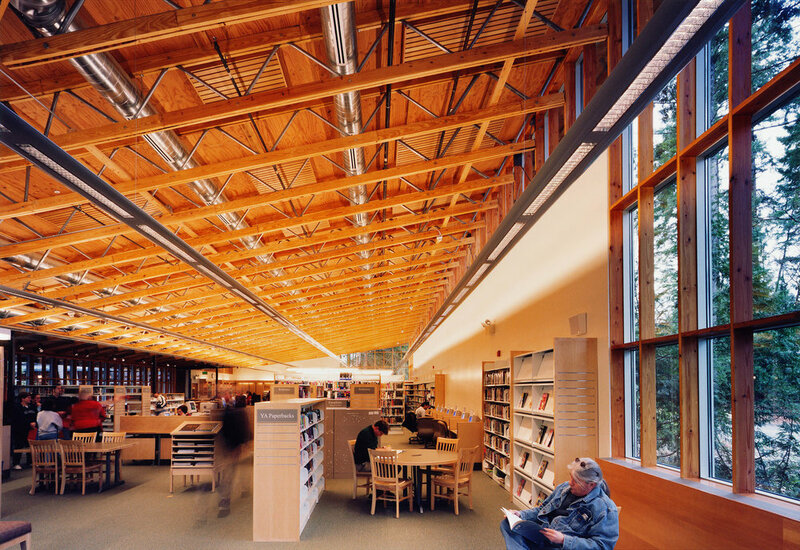 Johnston Architects, in association with James Cutler Architects, designed a new 10,200 square-foot library for the city of Maple Valley. The site for the project is one of the few remaining areas of second growth forest within city limits. Great care was taken when siting the structure and parking lot within the environment, preserving 90% of the spectacular woodlands. Large vine maples from the entry to the building. 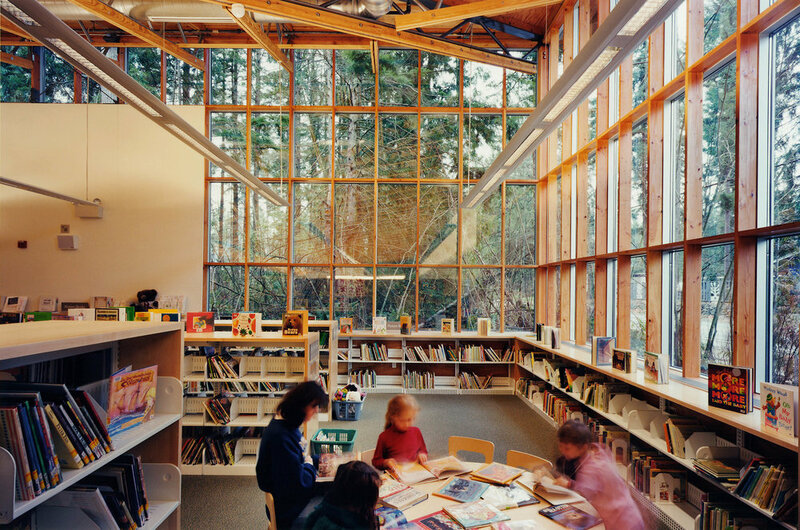 Walls of windows in each corner and high clerestories along the length of the building extend the library’s connection to nature through airy design. The library has become an emblem for Maple Valley. The completed library is highly functional with a children’s area, lounge, meeting room and a “loggia” looking out upon nurse logs, vine maples, cedar and Douglas fir. The library follows a U-shaped plan with a work room in one wing and meeting room in the other. The main reading room completes the U. A simple shed roof is supported by trusses. Wherever possible, wood components are exposed and honored. Water is collected from the roof in one downspout which directs the flow into a moss garden ring honoring the great natural resources of water and forest. This library was designed with state-of-the-art communications, lighting and mechanical systems, but its most important quality is evidenced by the joy of the people who use the building and work within it.